It’s one of the most prolific and successful video game franchises. Several of its iterations were named among the greatest games of all time. It’s influenced countless other games as it defined the action-adventure genre. This guide is available to download as a free PDF. Download The Definitive Guide to Every Game in the Legend of Zelda Series now. Feel free to copy and share this with your friends and family. We’re talking about The Legend of Zelda series, of course. Since 1987, Zelda games consistently received amazing marks from critics and fans alike. But what makes this series so popular? What make individual games in the franchise stand out? Unsheathe your swords, we’re taking an in-depth look at the history of Zelda by examining all 19 main games. Whether you’ve joined Link for every adventure or you’re curious about all the fuss, let’s enjoy walking through the Zelda games together. 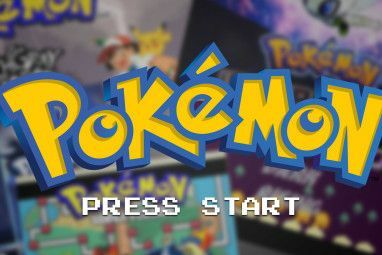 Years of release are given for the North American versions of the games. In many cases, the Japanese versions launched first. Many titles were re-released on Virtual Console or other platforms. We only discuss major remakes in this article, such as Ocarina of Time 3D on the 3DS. GB stands for Game Boy (C for Color and A for Advance), GCN stands for Nintendo GameCube, and NDS is Nintendo DS. The original Legend of Zelda was birthed from the past experiences of legendary game designer Shigeru Miyamoto. Miyamoto explained that as a boy, he would explore the natural world around his home and stumble across lakes, caves, and more. He designed Zelda so that players would feel a sense of that exploration Love Exploring? These RPGs Are Made For You Love Exploring? These RPGs Are Made For You Many players love RPGs because their large, open worlds offer an unparalleled opportunity to explore a virtual landscape. Here's ten games that you can explore for hours on end. Read More . And that’s exactly what it did. While the other NES breakout hit, Super Mario Bros., was all about a linear path from left to right, Zelda let players go anywhere. After pressing Start, you don’t have to follow a pre-set path. In fact, even getting the sword in the first cave is optional — players have reached the final boss without it Don't Change The Difficulty: Make Games Harder With These 3 Challenges Don't Change The Difficulty: Make Games Harder With These 3 Challenges Are the hardest difficulty settings not enough for you? Try these three self-imposed challenges to experience games in new, tougher ways. Read More . In any order you choose, Link must explore eight dungeons to recover pieces of the Triforce of Wisdom, a sacred relic. This first game set several series standards. Collecting new items in dungeons, finding heart pieces to extend your life energy, and battling monsters are all present in nearly every future game. Zelda was also notable for being the first home console game to feature a battery save system, meaning that players didn’t have to remember a password to continue playing later. Future Zelda games would steer away from the open-world exploration of the original, but one thing was clear: Link’s journey was far from over. When looking back on the Zelda series, you’ll notice that many people point to Zelda II as the outcast of the series. And in many ways, this is true. The first Zelda sequel featured new elements like earning experience points for defeating enemies, side-scrolling areas that involved some platforming, and limited lives. No game after this has returned to the light-RPG style of the deviant Zelda II. Zelda II is also noted for its difficulty 7 Video Games So Hard They Will Make You Want To Throw Your Controller 7 Video Games So Hard They Will Make You Want To Throw Your Controller One of the major staples of old school video games is the incredible difficulty. I've talked about the level of challenge in older games before in an article about the things I miss most from... Read More , thanks to one-hit kill pitfalls and tough enemies. But that doesn’t mean it had nothing to give to the series. This installment saw the first use of the magic meter for special attacks, the shadowy Dark Link, and non-playable characters (NPCs) having a role in giving Link quests and help. Those who have enjoyed newer Zelda games may be confused and off-put by Zelda II, perhaps when they tried it on their NES Mini NES Mini: Everything You Need to Know NES Mini: Everything You Need to Know Nintendo has released a retro replica of its popular Nintendo Entertainment System! Should you buy it? Here are the pros and cons of this "new" mini console! Read More . But that doesn’t mean it’s a bad game, just different. At this point, the series hadn’t quite fallen into a solid pattern yet, so the experimentation made sense. But with the next game, Nintendo struck a design paradigm that would stick with Zelda for years. The theme of A Link to the Past is this: everything the original game did, do it better. A more fleshed-out story had Princess Zelda contact Link to begin his quest, and sages around the world explained more about Hyrule. The map was fleshed-out and helped keep your bearings. More weapons led to better methods of travel and combat. In essence, A Link to the Past is one the titles that best defines what it means to be a Zelda game. Players were introduced to the Dark World, an alternate reality where Hyrule was twisted and more dangerous. A Link to the Past also marked the first appearance of the Master Sword, the Blade of Evil’s Bane. An engaging world and dungeon design and a perfect level of polish meant that this game was much more accessible than the NES titles. You didn’t have to wander around at random because the game pointed you in the right direction without shoving you. With an engaging core story and secrets that begged you to explore, A Link to the Past took 2D Zelda to its peak and is still loved today. You’ll be able to play it on the upcoming SNES Mini The SNES Mini: Everything You Need to Know The SNES Mini: Everything You Need to Know Nintendo has announced the Super Nintendo Classic. What's in the box? What games does it include? And when can you get your hands on that? Here's everything you need to know. Read More , too. Before the series made the revolutionary jump to 3D, Nintendo launched another 2D game to mark Zelda‘s handheld debut. In 1989, the Mario series saw its first handheld title in Super Mario Land for Game Boy. It was well-received, prompting many to wonder if Zelda could make a similar transition. That came with Link’s Awakening, which was also a success. But it’s a strange game in the series for several reasons. It doesn’t take place in the land of Hyrule. The setting is instead Koholint Island, where a magical beast known as the Wind Fish sleeps. Link is told that collecting eight special musical instruments from the island’s dungeons will wake the Wind Fish and let him escape. The Triforce is nowhere to be found, and even Mario characters like Goombas and Yoshi make appearances. Despite the Game Boy’s limited screen size and lack of buttons, the game is still fantastic. The setting and characters are so different from a normal Zelda game that it provides a fresh experience for longtime players. Nintendo released an updated version, Link’s Awakening DX, for the Game Boy Color in 1998. This featured color graphics and an exclusive new dungeon that relied extensively on the color display, among other enhancements. You can download it now on the Nintendo eShop 10 Classic Nintendo Games to Celebrate 5 Years of the eShop 10 Classic Nintendo Games to Celebrate 5 Years of the eShop The Nintendo eShop is celebrating its fifth anniversary this month, and it's a perfect time to snap up some excellent games! Here are 10 classic titles all Nintendo enthusiasts need to download! Read More . When you hear Zelda, you probably think of this game — and that’s for good reason. Ocarina of Time is the most critically-acclaimed video game of all time, and considered by many as the pinnacle of the Zelda series. Along with Super Mario 64, it helped usher in the era of proper 3D games thanks to its intuitive lock-on system that helped players navigate brand-new 3D worlds. I could write an entire article about this game, so we’ll keep it brief. Suffice it to say that Ocarina of Time translates many into 3D of the elements that make A Link to the Past such a solid title, and adds so much more. A coming-of-age story where Link and Zelda’s actions as kids result in Ganondorf taking hold of the world seven years into the future — and having to fight in that future — is amazing. It’s a lengthy adventure with great dungeon design, a variety of items and sidequests, and fantastic pacing. Every 3D action-adventure game since 1998 has been influenced by this title, and it paved the pattern for the next decade-plus of Zelda games. Everyone on Earth who wants to experience one of the finest and most important titles in the sphere of video games 10 More Video Games That Changed The World 10 More Video Games That Changed The World These titles can legitimately be classed as game-changers. Which is a rather apt description given the subject matter. Read More simply must play it. And perhaps the best way to do that is with the enhanced remake, Ocarina of Time 3D on the 3DS. Aside from the neat 3D effect 4 Nintendo 3DS Games That Make Incredible Use Of The 3D Tech 4 Nintendo 3DS Games That Make Incredible Use Of The 3D Tech The 3D in the 3DS isn't just there for show. It's actually a key part of the console that just isn't used by enough games. However, there are some games that take the 3D technology... Read More that’s non-essential, the game features improved visuals, easier equipping of items thanks to the touchscreen, and the revamped Master Quest that features more challenging dungeons. It also makes small quality-of-life tweaks such as adding assistance to the infamous Water Temple 5 Of The Best Video Game Areas, Levels, And Dungeons 5 Of The Best Video Game Areas, Levels, And Dungeons Let's look at five video game levels that we should all remember forever. Read More . The next 3D title, Majora’s Mask, looks remarkably similar to Ocarina of Time. That’s not a coincidence — Shigeru Miyamoto wanted the team to create the alternative Master Quest that swapped the dungeons in Ocarina of Time, but series producer Eiji Aonuma was reluctant. Thus the two parties agreed to create a new Zelda game in a year. To save time in development, many of the characters and other assets from Ocarina were re-used. And while Ocarina is a definitive Zelda title and accessible for newcomers, Majora’s Mask is one of the most derivative games. Set in the land of Termina, it centers around a town doomed to be crushed in three days’ time by a falling moon. 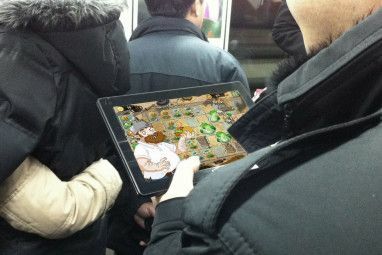 The player must solve troubles for the town residents while also branching out in the four compass directions to find the dungeons and purge them of evil. The gameplay centers around masks that give Link new abilities, and features more sidequests than any other Zelda game at the time. Instead of simply reciting lines, every resident of Clock Town feels alive as they have schedules that repeat every day. At the end of the game’s three-days (about an hour in real time), Link has to avoid the moon by playing the Song of Time on his ocarina to jump back to the first day and continue the quest. Majora is notably darker The Scariest Must-Play Horror Games for Halloween The Scariest Must-Play Horror Games for Halloween In the spirit of Halloween and all things scary, here's our pick of the scariest and most atmospheric horror games of the last few years. Read More than most other Zelda games, and the repeating three-day cycle is off-putting to some. However, it makes for a unique Zelda game, and arguably one of the most clever games of all time. It’s commendable that the developers crafted an intricate world with reused assets and a Groundhog Day-esque cycle. Like its N64 counterpart, Majora’s Mask was re-released on the 3DS as Majora’s Mask 3D. This version features several changes, including redone graphics, changes to the save system to account for playing on a handheld, and a new fishing mini-game. Link’s second outing on a handheld was actually split into two games: Oracle of Seasons and Oracle of Ages. Unlike the Pokemon games, which release two games (Sun and Moon) with a few minor differences, Seasons and Ages are two completely different games. And in a first (and rare) move for the series, they actually weren’t developed by Nintendo. Capcom created this pair of games. In Oracle of Seasons, Link travels to Holodrum where the Oracle of Seasons is kidnapped. He receives the Rod of Seasons, the game’s central item, and can use it to switch the world between the four seasons at will. For instance, if you don’t have the flippers that let you swim yet, swapping from summer to winter will freeze a lake and allow you to cross. Seasons focuses on action, so the challenge in its dungeons come from tough enemies. Oracle of Ages, the other game, sees Link in Labrynna, where the Oracle of Ages is possessed by the game’s antagonist. Using the Harp of Ages, Link can travel between the past and the present at will. For example, in one area, the Zora king has passed away in the present, so you must travel to the past and give him medicine when he’s sick. Ages, as opposed to its sibling, has a focus on puzzles. Thus its dungeons feature less intense combat and more head-scratching. The developers originally intended to create three interconnected games which you could play in any order. Since this was too tough to implement, they cut it down to two. But Seasons and Ages still feature connectivity. After finishing one game, you’ll receive a password for the other game. The second game you play will feature some changes, such as characters that remember you from the other title. After you complete the main quest of the second game, you can proceed to the final area and complete the true ending. In 2002, Nintendo published a port of A Link to the Past for the Game Boy Advance. It’s largely the same (aside from a few minor text changes and gameplay differences). The biggest chunk of new content came with the cartridge’s entirely new game, Four Swords. This marks the first time a Zelda game ever had a multiplayer mode 6 Video Games With Fantastic Local Multiplayer For Dorm Room Gaming 6 Video Games With Fantastic Local Multiplayer For Dorm Room Gaming There are still some titles that faithfully provide an excellent couch experience for multiple players. They either allows for up to four people to play at once, or provide an entertaining enough experience to keep... Read More . Four Swords is a fairly short game in which two to four players cooperate and compete at the same time to complete randomly-generated dungeons. After Link pulls the Four Sword from its resting place, it creates three copies of himself that each player can control. You have to work together with the other players to solve puzzles, but the player who collects the most rupees is rewarded. Unfortunately, playing Four Swords requires everyone involved to have their own Game Boy Advance and a copy of the game. You also need a Game Boy Advance Link Cable to connect each system. Because of this, even if you had the A Link to the Past cartridge, you might not have played Four Swords. That might explain why Nintendo decided to release an enhanced version of the game, titled Four Swords Anniversary Edition. This version allows you to play in single-player mode and control two Links on your own. It was available on the DSiWare service for the Nintendo DSi and 3DS for free between September 2011 and February 2012. After A Link Between Worlds released, Four Swords again became free on the eShop 5 Rare Games You Can Buy Cheap on Digital Marketplaces 5 Rare Games You Can Buy Cheap on Digital Marketplaces Read More for a few days in early 2014. Nintendo hasn’t made it available since. Perhaps one of the most controversial installments in the franchise, The Wind Waker shocked Zelda fans with its cartoony, cel-shaded graphics (and an amazing soundtrack The 20 Best Video Game Soundtracks for Studying or Relaxing The 20 Best Video Game Soundtracks for Studying or Relaxing Video game music is engineered to promote focus with enjoyable background tracks. If you need some music for studying or relaxing, look no further. Read More to match). Some people loved the new look, while others thought it was stupid. Thus Wind Waker, like several other Zelda games, had some critics upon release but is often looked back on as one of the best games in the series. The Wind Waker takes place in a flooded Hyrule, where sailing is your main method of navigation. Because of this mechanic, after you’ve played some of the game’s early bits, the world really opens up and lets you sail to plenty of optional islands. It’s a Zelda for explorers for sure. Like Ocarina, music plays a huge role. The titular Wind Waker is a baton that lets Link control the wind direction, take control of allies, and more. While Wind Waker featured excellent expressions for Link and plenty of treasure hunting, it did feature some tedious elements that were fixed in The Wind Waker HD remaster for the Wii U in 2013. The new Swift Sail item lets Link sail faster and automatically changes the wind direction so he doesn’t have to constantly adjust it with the Wind Waker. A lengthy quest at the end of the game was also cut down considerably. Like most of the re-releases of Zelda games, it’s the best way to play the game for newcomers. Four Swords Adventures is a sort of expanded sequel to Four Swords. It shares a similar story and the multiplayer element with that game — in fact, it’s the only console Zelda that has multiplayer as a focus. But this one is completely playable in single-player mode. Unlike other Zelda games, Four Swords Adventures is broken up into bite-sized levels instead of featuring a seamless world. If you play this one by yourself, you control four Links at a time. You can quickly send them into various formations, such as a cross or line, for ease of movement and attack. It’s fully playable with just a GameCube controller alone. However, with two to four players, each one controls their own Link and must use a Game Boy Advance connected to the GameCube with a Link Cable. All players play on the same TV screen. However, when they enter a cave or building, gameplay shifts to their Game Boy Advance display. Like Four Swords, you’re working together to complete puzzles and rescue the Maidens while also competing for the best score. Four Swords Adventures, like its predecessor, is an odd Zelda game. It’s far from the best one, as its episodic gameplay leads to a just-OK single-player experience. It would cost a lot to buy enough Game Boy Advance systems and Link Cables to experience multiplayer, though. Another handheld Zelda developed by Capcom, The Minish Cap features a graphical style similar to The Wind Waker and continues the story of the Four Swords games. This time, Link’s hat is actually a magical creature named Ezlo. This allows him to shrink down to a microscopic size and explore the world from the perspective of the Picori, a race of tiny people. As you can imagine, this mechanic results in some interesting gameplay shifts. A harmless water droplet for full-size Link is a fatal obstacle when he’s the size of an ant. Many of the dungeons and puzzles revolve around Link’s tiny size. Size-changing when exploring results in an engaging world. Another new gameplay is the Kinstones, medallions Link can collect that when fused with a matching stone from another character, can yield items and even new sidequests. The Minish Cap is an excellent handheld Zelda title. It’s often forgotten among the giants of the series, but you shouldn’t miss it. For Zelda fans, Twilight Princess was a hotly-anticipated game. The Wind Waker had left many clamoring for a more realistic, mature Zelda, and this looked like the one to satisfy that craving. In a notable first for the series, Twilight Princess released on two consoles. The game was originally designed for the GameCube, but with the Wii on the horizon, Nintendo delayed the game and released it on the Wii as a launch title 4 Video Game Console Launch Games That Were Actually Good 4 Video Game Console Launch Games That Were Actually Good Every once in a while, the stars line up and a launch game hits the market that's actually good. It's a rare occurrence indeed, and one that doesn't seem like it's going to happen on... Read More in November 2006. The GameCube version 5 Of The Most Valuable Games For The Nintendo GameCube 5 Of The Most Valuable Games For The Nintendo GameCube The GameCube had a solid library with plenty of games that are both fun to play and sought after by collectors today. Read More came just under a month later. Twilight Princess is a much more typical Zelda game. Its version of the alternate world is the Twilight Realm, a world of darkness inhabited by shadow beings. When Link is dragged into this realm, he transforms into a wolf. With the help of Midna, a Twilight inhabitant who knows Princess Zelda, Link fights to turn back the Twilight and restore Hyrule. Interestingly, the Wii version of Twilight Princess marks the first time Link has ever been right-handed. When developing the GameCube version, Nintendo had Link left-handed as he’d always been. But since the Wii Remote allowed players to actually swing to attack with the sword, they wanted Link’s handedness to match the majority of most players. Thus the developers mirrored the entire game world for the Wii version. In 2016, Nintendo released Twilight Princess HD, an enhanced remaster on Wii U 10 Must-Play Wii U Games in 2016 10 Must-Play Wii U Games in 2016 Want to see what games you can play on your Nintendo console this year? Here are ten Wii U console exclusives you can play in 2016. Read More . 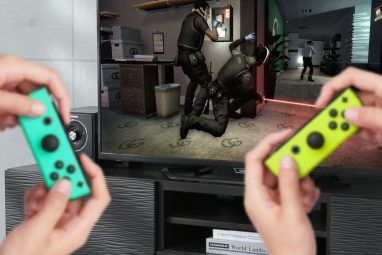 It features better graphics, control improvements thanks to the Wii U’s gamepad, and a few tweaks such as shortening the lengthy introduction sequence. This version uses the original GameCube orientation of the world. Link’s first foray onto the Nintendo DS 5 Essential Nintendo DS Game Franchises Everybody Should Play 5 Essential Nintendo DS Game Franchises Everybody Should Play In a world where all smartphones and tablets are capable of playing brilliant video games such as Angry Birds and Candy Crush Saga, it's easy to forget about the dedicated handheld games consoles on the... Read More came as a direct sequel to The Wind Waker. Like that game, Phantom Hourglass has you sailing around the oceans of Hyrule and exploring new islands. Although not quite as expansive as the GameCube title, it’s still a solid adventure. Phantom Hourglass utilities the DS’s touch screen for nearly all its controls. Moving Link, swinging the words, and using items are all accomplished using touch-screen controls. Some purists aren’t’ fans of this, but the controls don’t take much effort to get used to as the game is built around them. Another use of the touch screen comes from the game’s map. The player can bring the map to the touch screen at any time and draw on it to make notes. This helps you remember where an out-of-reach treasure chest was, or lets you take note of safe paths through dangerous areas. One of the major criticisms of Phantom Hourglass is the game’s central dungeon, the Temple of the Ocean King. You’re required to visit it several times throughout the game to open more of the sea, and each time you must descend deeper through floors you’ve already visited. Even though your newly-acquired items let you open up new shortcuts and progress quickly, some players found it tedious visiting this dungeon so many times. Phantom Hourglass also included an online multiplayer battle mode. In this, players switch between controlling Link and three Phantom enemies. Link must dodge the phantoms and bring gems to the safe zones, while the other player tries to hunt Link down. Unfortunately, the DS’s Wi-Fi Connection service no longer works, so you can only play this mode locally. Spirit Tracks, another DS title, has much in common with Phantom Hourglass but makes some changes to stand out. Instead of the flooded Hyrule that requires a ship to navigate, Link navigates the overworld by train in this title. Like its predecessor, you must return to a central dungeon regularly to unveil more of the Spirit Tracks so you can navigate around. Thankfully, you don’t have to replay earlier sections like in the Temple of the Ocean King. This title is notable for being the first where Zelda accompanies Link throughout his adventure. Early in the game, the antagonist separates Zelda’s spirit from her body. Thus she serves as Link’s companion, and can possess the Phantom enemies to help Link ascend the Tower of Spirits dungeon. Aside from these differences, Spirit Tracks plays a lot like Phantom Hourglass. You still use the touch screen to control Link and make notes on your map. The train navigation makes this one of the most restrictive Zelda worlds. Skyward Sword is an important game in the Zelda lore because it takes place at the beginning of its chronology. The Zelda timeline is a story for another article, but suffice it to say that this incarnation of Link is friends with Zelda and the events therein set up many of the series’ staples, like the Master Sword. Notably, Skyward Sword makes heavy use of the Wii MotionPlus accessory. This extra device plugged into the bottom of the Wii Remote enables one-to-one motion that accurately reflects the player’s movements. In-game, you’ll encounter enemies whose weak points require a precise slash in one direction, for example. This is a huge step up from Twilight Princess, where simply waving the Wii Remote at all would trigger Link’s sword attack. Critics loved Skyward Sword, but fans were more divided. Aside from the heavy use of motion controls, many found the game too linear and the constant tutorials too distracting. Nintendo listened to these concerns, which helped shape the next console release: Breath of the Wild. Skyward Sword hasn’t seen a re-release yet, so you’ll have to break out your old Wii 6 Ways to Connect Your Nintendo Wii to Any Type of TV 6 Ways to Connect Your Nintendo Wii to Any Type of TV Need to connect your Nintendo Wii to a modern TV? Can't seem to find the right ports on your HDTV? It's easier than you think! Read More to play it. Nobody would have thought that the next Zelda title would borrow so heavily from an earlier one. But that’s exactly what A Link Between Worlds is — a successor to A Link to the Past. It takes place in the same world, and features many of the same enemies and items. But instead of the Dark World, Link travels to Lorule — a mirrored, evil version of Hyrule. New elements that break from series traditions, yet complement what makes Zelda so great, abound in this game. The biggest addition is Link’s wall-merging ability. When up against any wall, pressing A makes Link stick to the wall and lets him walk along it in 2D. This makes for some great puzzles and it’s used smartly throughout the whole game. Another welcome change in A Link Between Worlds is its non-linearity. After completing the first few dungeons, players can tackle the challenges of Lorule in any order they like. Also, this game doesn’t reward you a key item (like the Hookshot or bow and arrow) in each dungeon. Instead, a friendly character lets you rent the items for a small fee. This lets you choose which areas to explore based on the items you’ve rented. A Link Between Worlds is one of the best Zelda games in years. It captured some of the freedom that made the original games so great while also offering fresh dungeons and great puzzles. For veterans and newcomers alike, it’s certainly one of the best games on the 3DS 25 Nintendo 3DS Games That Are Essential to Any Collection 25 Nintendo 3DS Games That Are Essential to Any Collection The 3DS has a host of excellent games. Not sure where to start? Here are the 25 best titles on the system, with something for fans of every genre. Read More . While it might not seem like it, Tri Force Heroes is considered a mainline Zelda game. Like the Four Swords games, it focuses heavily on multiplayer. A team of three players must play through individual levels to progress, working together to solve puzzles. They even share a health bar, making teamwork paramount. You can go this adventure alone if you like, though. Single-player lets you control one Link and switch to the other two puppets at will to solve puzzles on your own. For multiplayer, you can play with friends locally or go online to team up with random players. The story is wildly different from anything seen in Zelda before. In the kingdom of Hytopia, fashion is extremely important. The princess, Styla, becomes cursed and must wear an ugly brown jumpsuit. The king sends out a request for heroes to band together and reverse this evil. The Tri Force Heroes respond and begin the quest. It’s a pretty cheesy story, and this is definitely a non-essential Zelda game. You’ll have a good bit of fun in multiplayer, but the laborious switching between characters in single-player isn’t as special. “Good” doesn’t even begin to describe this game. Not only does it reinvent what a Zelda game is, it sets a new standard for open-world games Play It Your Way: 4 Sandbox Games That Reign Above the Rest Play It Your Way: 4 Sandbox Games That Reign Above the Rest A poorly executed sandbox game is a waste of time, but when it's done right, it can transport you to an entirely new world full of wonder, excitement, and experiences. Read More to come. Remember how players hated how Skyward Sword held your hand the entire way? Breath of the Wild is the exact opposite. Hyrule is yours to explore as you please. You can go anywhere and do anything in any order you like, with no items or artificial progress barriers holding you back. Follow our tips The Spoiler-Free Beginner's Guide to Zelda: Breath of the Wild The Spoiler-Free Beginner's Guide to Zelda: Breath of the Wild The Legend of Zelda: Breath of the Wild is here, and what an adventure it is. Here are some beginner's tips to keep in mind as you start exploring. Read More if you need some help finding your way. Featuring voice acting, fleshed-out physics, breakable weapons, and plenty of sidequests, Breath of the Wild isn’t like other Zelda games. But that’s something worth getting excited about. Unlike many open-world games, this one isn’t bogged down with filler. Every square inch of the map has something worth seeing, and just getting from one place to another can lead to new findings. The attention to detail is staggering. Breath of the Wild will hold your attention for untold hours. No two people playing this game will have exactly the same experience. You’ll want to share stories with other players about the insane stuff you found. The Legend of Zelda: Breath of the Wild received the highest review scores of any game ever put on Metacritic when it was released. This game redefines open-worlds forever and is a masterpiece in video gaming. There’s no other way to describe it. We’ve covered all 19 of the mainline Zelda titles. Like most series, the Zelda franchise has seen some spin-offs. These are games that use the same characters, but often deviate in gameplay and have non-canon stories. We won’t cover all of them (many of them, like the Tingle series, weren’t released in the USA), but do want to note a few of the major games. The Wii was no stranger to peripherals that you could place the Wii Remote into. While most of these were third-party, Nintendo did release a few of its own. One was the Wii Zapper, a simple gun-like attachment you can place the Wii Remote and Nunchuck into. Every Zapper came bundled with Link’s Crossbow Training, a basic shooting game where you control Link in several locations from Twilight Princess. You shoot targets, survive waves of enemies coming at you, and even fight a few bosses in the short arcade-like levels. It’s a fun little distraction but nothing ground-breaking. An interesting mash-up between the worlds of Zelda and Dynasty Warriors, Hyrule Warriors is a hack-and-slash action game. It’s non-canon and features a much heavier emphasis on combat than standard Zelda games. Instead of an adventure filled with secrets and intricate dungeons, Hyrule Warriors tasks you with taking out hordes of enemies with a variety of weapons. While fans of Zelda proper might not love the gameplay here, it’s a real treat for fans of the series. This is in part due to the huge cast of playable characters. You can play as obvious choices like Link and Zelda, but other series characters like Marin (Link’s Awakening), Medli (The Wind Waker), and Ruto (Ocarina of Time) are available too, some thanks to the game’s DLC. The game was re-released on 3DS as Hyrule Warriors Legends. It includes all the DLC from the Wii U version and features some new content and gameplay changes as well. In the early 1990s, Nintendo was working to create a CD-based add-on to the Super Nintendo. They first signed a deal with Sony, then broke it off — leading to Sony to eventually develop the PlayStation. Instead, Nintendo went with Philips to create the add-on. After the Sega CD add-on for the Sega Genesis failed, Nintendo decided to scrap the idea. But they agreed to let Philips use Zelda characters in its own games on the new Philips CD-i system. What resulted was a trio of games: Link: The Faces of Evil, Zelda: The Wand of Gamelon, and Zelda’s Adventure. Independent studios did the majority of the development, including a team of four Russian animators for the cutscenes. Philips insisted that the games show off the power of the CD-i (which was intended as a media player as well as a game console PS4 vs. Xbox One: Which Is the Best Media Player? PS4 vs. Xbox One: Which Is the Best Media Player? Are you thinking of buying a game console for its media capabilities? Let's find out if the PS4 or Xbox One is the better choice for your entertainment setup. Read More ) which led to the voice acting and cutscenes. Nintendo had no input for these games. Faces of Evil and Wand of Gamelon are remarkably similar due to sharing a development time. They both feature 2D gameplay and cartoony cutscenes. Zelda’s Adventure released a year later. Its camera is top-down and includes live-action cutscenes, as well as voice dialogue by the development staff. Enough of the formalities — these games are atrocious. The controls are broken (the first two games don’t even use all three of the controller’s buttons), the level design is frustrating, and the cutscenes are laughably pathetic. Zelda’s Adventure features ugly visuals, ridiculous loading times, horrendous voice acting, and cryptic, tedious gameplay. Whoever developed these games had clearly never played a Zelda game before. Nowadays, these games are infamous online for their cutscenes. If you’ve ever watched a “YouTube Poop” video, you’ve probably seen clips from one of these games. While we’d never recommend playing them, it’s worth checking out a clip of the highlights on YouTube for a laugh. The Angry Video Game Nerd has excellent videos covering all three of them (language warning). Which Ones Should You Start With? Before we’re done, I wanted to give a quick recommendation to players who want to get into the Zelda series for the first time. Play the best Zelda games first. Start with Ocarina of Time and A Link to the Past to experience the best of 3D and 2D Zelda. Ocarina 3D is easier to get ahold of and cheaper than the original — it would make a great game for your next trip Long Trip Ahead? Pass Your Travels With Epic 3DS Games Long Trip Ahead? Pass Your Travels With Epic 3DS Games Charge up your 3DS! These five 2014 releases will keep you engaged for your longest journeys. Read More . After you know what to expect from Zelda, play A Link Between Worlds and Majora’s Mask. The former lets you experience a less-linear Zelda without the rough edges of the NES games. Majora’s Mask a fantastic, unique experience that you’ll appreciate more after playing Ocarina. Again, the 3DS remake is your best bet. Later, the Oracle games, along with Link’s Awakening and The Wind Waker (HD), are all great titles that do Zelda a little differently. Twilight Princess is a solid game but doesn’t stand out as much as the others. You can skip the NES titles. They’re more difficult and only recommended for those who want to see the origins of Zelda and don’t mind a challenge. As soon as you get a Nintendo Switch, buy Breath of the Wild. Aside from the major remasters, we haven’t mentioned the various platforms that these games have seen ports on. Using the Wii U and/or 3DS Virtual Console service, you can download most of these games onto a modern system for just a few dollars each. Now you know The Legend of Zelda inside and out. This series comprises a wonderful collection of some of the finest video games of all time. I hope that learning about the various Zelda games has inspired even just a bit of love for the series in you. When you want to change your text tone to a Zelda sound effect, you know you’re crazy about them. You’re in for a world of fun if you’re going to experience these games for the first time. Have fun. We want to hear your Zelda memories and opinions! 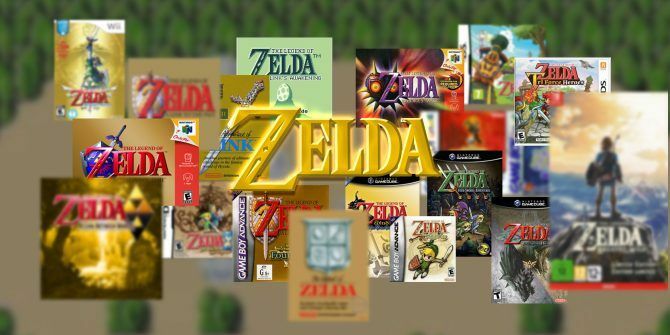 Please tell us which Zelda game is your favorite, or which one you want to play next. Share what you learned and we’ll see you down in the comments! Explore more about: Adventure Game, Longform History, Nintendo.